To all parents and guests at Orange Little League there are NO PETS OF ANY SIZE aloud at any games or practices! We must follow the rules of Orange Unified School District property. If you notice any pets at your fields please kindly remind the owner of our policy. If they refuse to remove the animal immediately please notify the Snack Bar or an OLL Board Member. 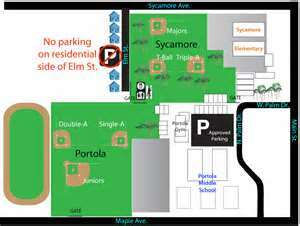 RESERVED PARKING ON ELM STREET: There is absolutely NO PARKING on the residential side of Elm Street. The neighbors take it very seriously and will not hesitate to call the police. This year we will reserve the non-residential side for grandparents and handicap. Please use the Portola parking lot off of Palm Street. NO SMOKING: There is absolutely NO SMOKING (including Vapor Cigarettes) on Orange Unified School District property. This includes the Portola parking lot. If anyone is smoking they will be asked to put it out or leave.